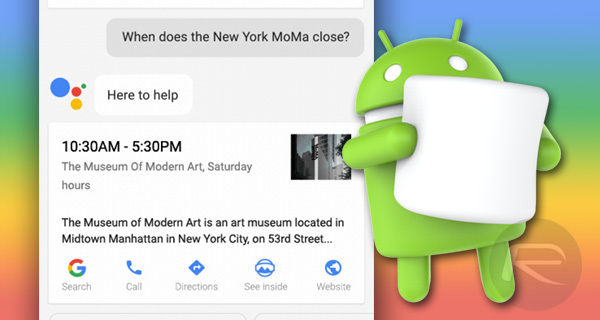 You can now enable Google Assistant on Android Marshmallow devices. Here’s everything you need to know on how to do that. One of the biggest selling points of the Pixel and Pixel XL smartphones is that they come loaded with access to Google Assistant. 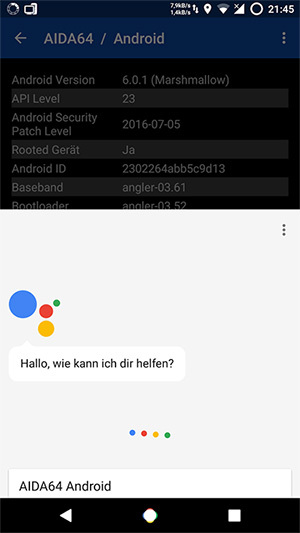 Officially speaking, this is the only way that individuals can actually access Assistant as Google has confirmed that Assistant isn’t coming to non-Pixel Android devices, but of course, we already know that it’s possible to unofficially gain access to the feature on non-Pixel hardware running Android Nougat. Now, to add to our previously outlined method, the newly updated Android N-ify Xposed module brings Google Assistant to smartphones and tablets running Android Marshmallow. The previously published method, which involved modifying the build.prop file within the Android system, relied on tricking the system to believe the device was a Pixel, and of course required the said device to be rooted and to actually be running Android Nougat. This latest method, though still requiring root access, is more different and some would say easier than tinkering with a file within Android’s /System folder. Android N-ify has been around for some time as an Xposed module looking to bring the latest and greatest Nougat features to older, unsupported devices and thus makes gaining access to Google Assistant as easy as snapping your fingers. However, be mindful of the fact that the latest Xposed framework is intended for AOSP ROMs, so if you’re running the TouchWiz UX on a Samsung, even though you can give it a shot, it is likely that you’ll encounter a few hiccups. As with anything that seems too good to be true, the availability of Google Assistant on Marshmallow devices via Android N-ify does come with certain caveats and requirements of use. We already know that a rooted device is required, but there’s also a slight caveat in the fact that Max Rumpf, the developer who added this module to Xposed, claims that it “will probably only work” on version 6.6.14.21 of the Google app, in arm, arm64 and x86 variants. Furthermore, you will have to grab the APK of Xposed from GitHub (from the link given under Builds in readme file) since Rumpf has packed the new module into this particular build of Xposed. Given the complications involved, and the fact that it does come with a very specific set of caveats and limitations, it may be worthwhile for the less technically au fait, and certainly those who are less experienced with modifications on Android, to steer clear of this Android N-ify module until a more usable solution is introduced later down the line. Still, it’s comforting to know that we won’t specifically be limited to the Pixel and Pixel XL smartphones in order to actually interact with Google Assistant for Android going forward. Of course, if you are competent and highly experienced with Android, then you may want to give it a try on your rooted Marshmallow device.